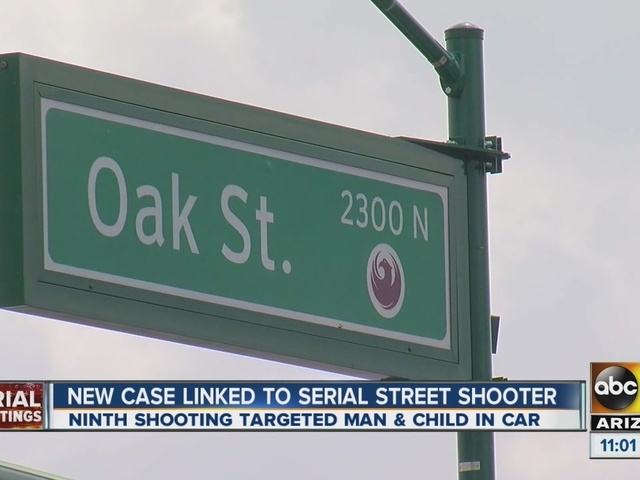 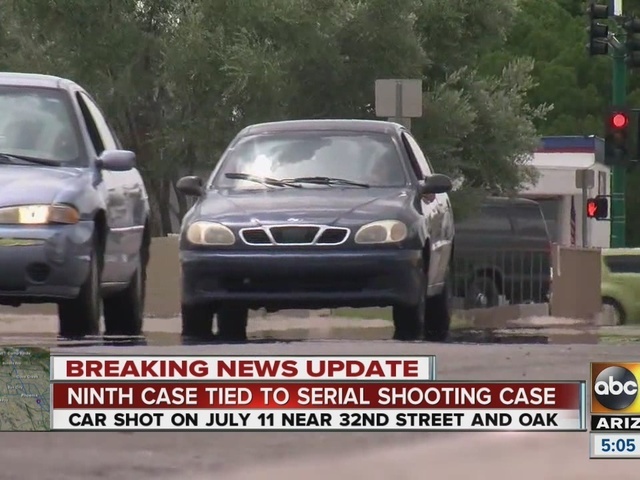 A man and 4-year-old boy were sitting inside a car outside a home at 32nd Street and Oak on July 11 when the suspect fired at their car. 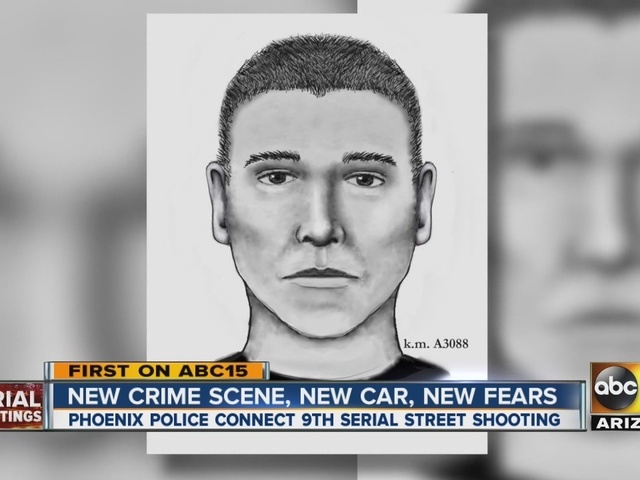 According to Phoenix police, the suspect left the area in a dark-colored BMW, but the shooter is known to have access to multiple vehicles. 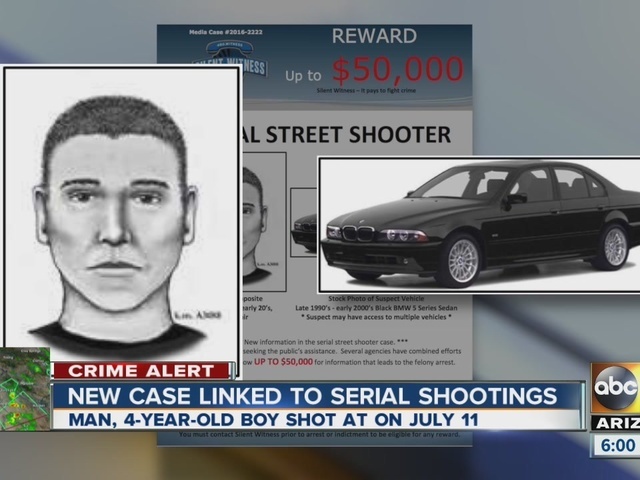 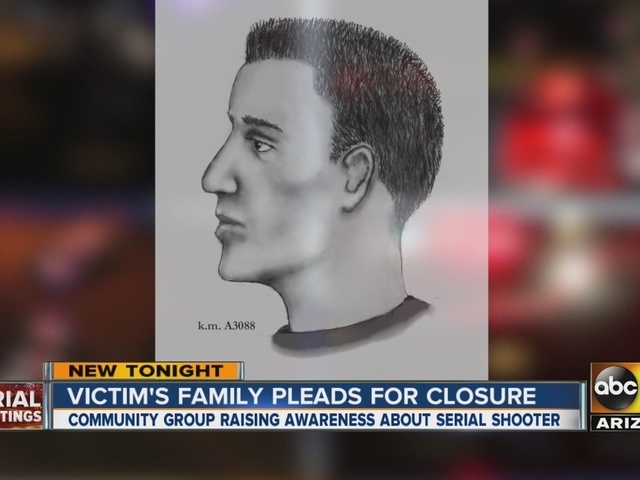 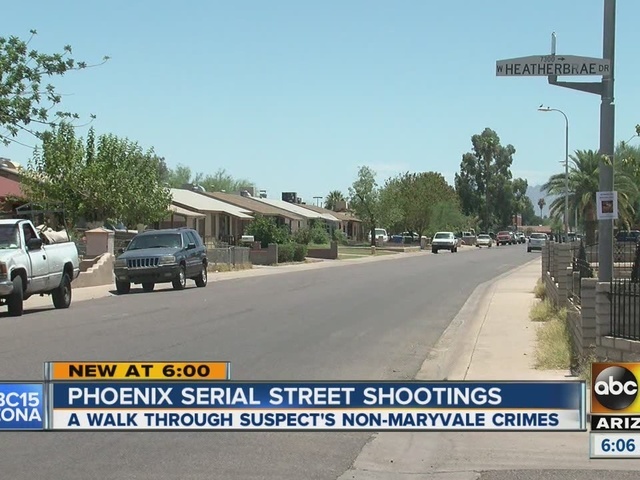 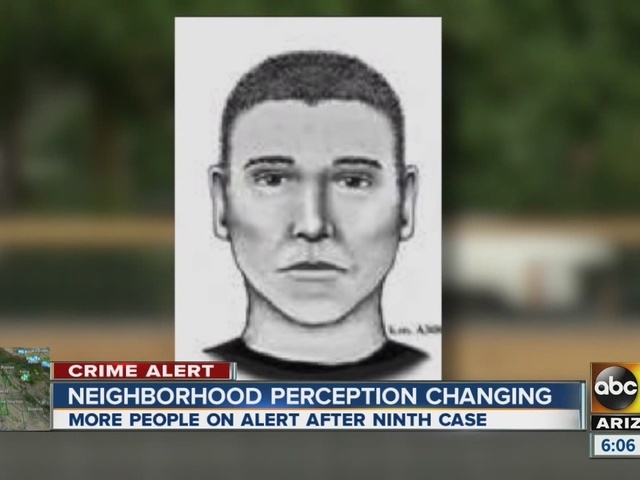 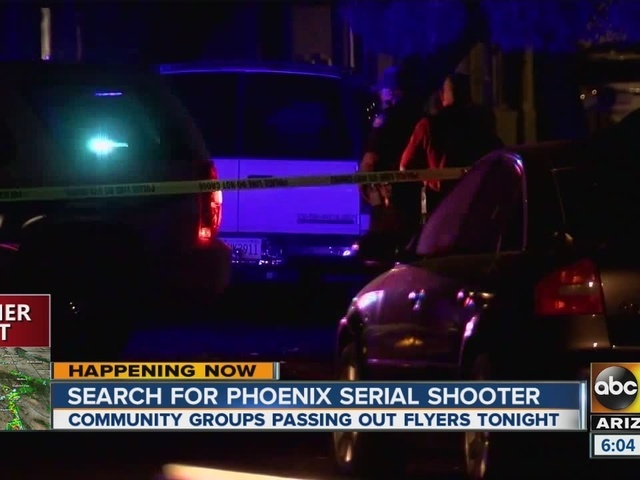 If you have any information regarding the serial shooter call Phoenix police at 602-262-6141 or Silent Witness at 480-WITNESS.